The Sensor Observation Service (SOS) is an OGC standard allowing to retrieve sensor observations as well as associated metadata, such as the full sensor description in SensorML format. This service is a core component of OpenSensorHub and can be configured to expose any live data stream (i.e. output of sensor or process) as well as content of any data storage available within an OSH node. It can be instantiated several times on a single node, and the user can choose which sensor data is exposed via each of these instances. 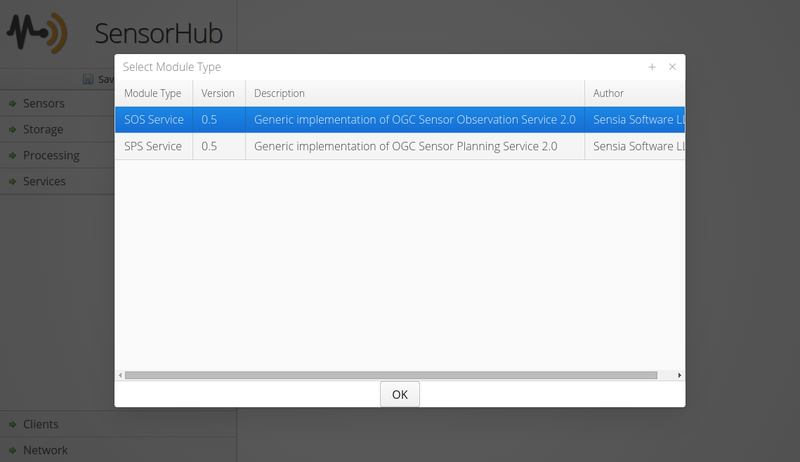 Please see the OGC® Sensor Observation Service Interface Standard v2.0 for more details. Adding one or more SOS endpoints is very easy through the Web Admin. For each offering, one can publish data for a sensor with or without its associated storage by using a Sensor Data Source. 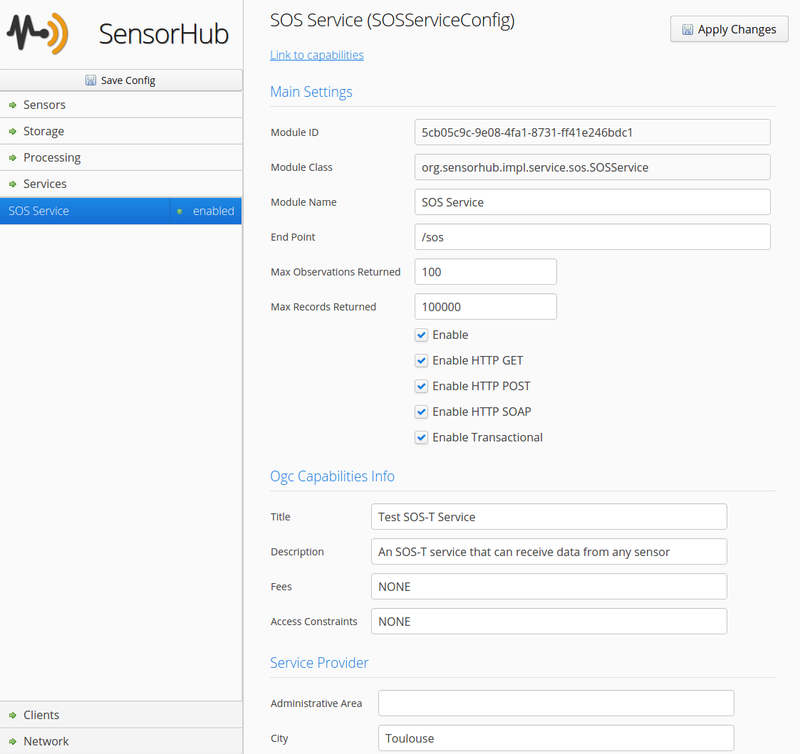 If a storage is attached, both live and historical data from that sensor are made available through the SOS interface; if not, only live data is made available. It is also possible to create an offering that serves historical data only. In this case, a Storage Data Source must be used. An SOS module can also be added by adding the proper JSON configuration in the main config file.